Our campsites and campground have plenty of options and amenities for whatever kind of trip you may be planning. We have a 25 acre man-made lake stocked with fish that allows license-free fishing for optimal fun. Our beautiful landscapes are perfect for you to share an important event with us like your wedding or company function. 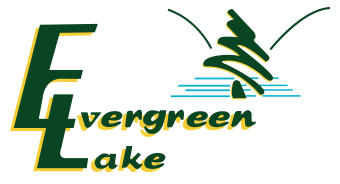 Established in 1965, Evergreen Lake sits on a picturesque 300 acre site nestled at the base of Blue Mountain in Bath, Pennsylvania. 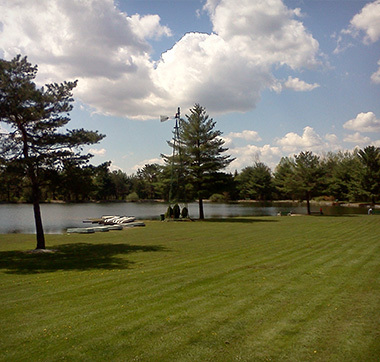 Evergreen Lake provides a beautiful setting with wooded campsites for recreational vehicles, campers and tents, fully stocked lake and pond for fishing. We are located in Northampton County away from the noise of busy highways yet we are easily accessible from most major highways. We are just minutes from Allentown, Bethlehem and Easton and within easy driving distance from Philadelphia, Carbon, Monroe, Schuylkill and Berks Counties in Pennsylvania as well as New York and New Jersey.